Uses: Neptunium is little used outside research. The isotope neptunium-237 has been used in neutron detectors. Biological role: It is toxic due to its radioactivity. 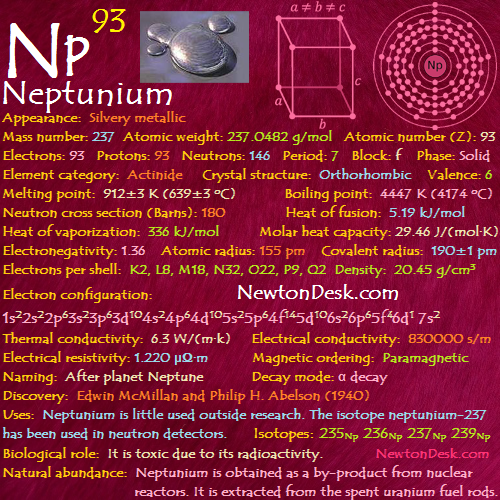 Natural abundance: Neptunium is obtained as a by-product from nuclear reactors. It is extracted from the spent uranium fuel rods.